Women with thin hair know only too well the struggles of getting a style that sticks. Want a blunt bob? Forget about it. Tousled, beachy waves? Not without looking like you’ve been pulled through hedge backward, you won’t. But what if we told you thicker, lengthier locks were just around the corner? And they won’t ruin your already fragile tresses. Hair extensions have long suffered with a bad rep (*they pull your hair out and leave you with bald patches!! * – sound familiar?) 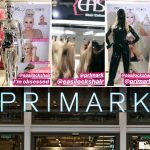 but these days there are plenty of safe ways to add to your lacklustre hair, with many passionate specialists willing to make your hair dreams come true. 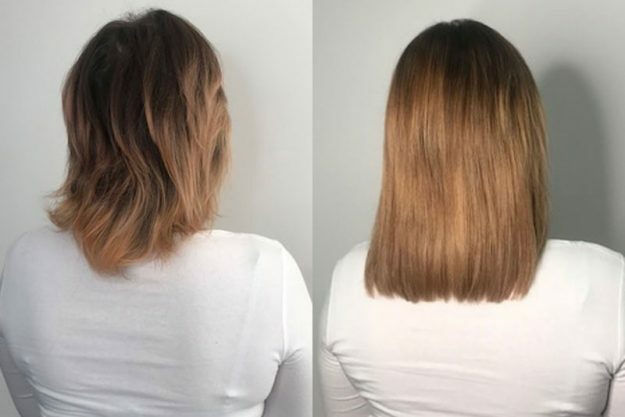 We spoke to Jessica Patching at Marla Hair, who not only transformed our hair from limp to luscious in under two hours, but gave us the lowdown on how to keep your hair safe when using extensions. 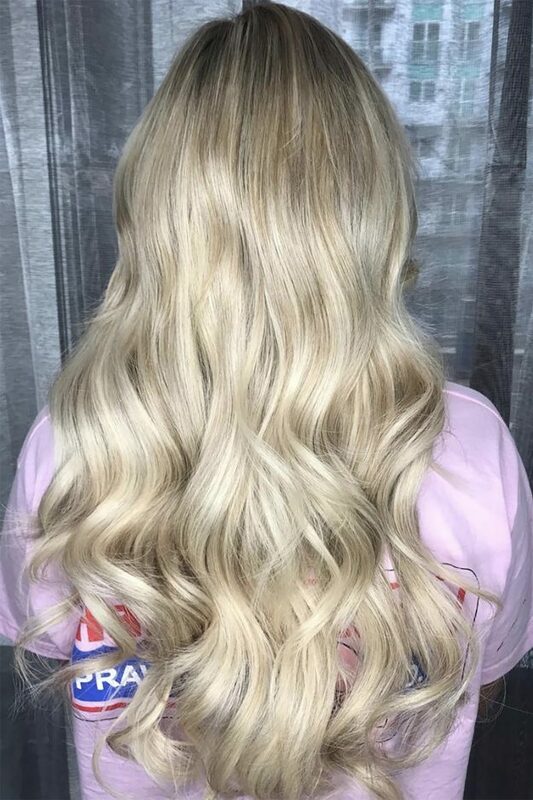 Jessica uses the blended technique, which means she’s able to tailor the extensions to her client’s exact hair colour – blending different colours together for an uber natural look. What would you say to people who think hair extensions ruin your hair? 1) You have had the wrong method fitted for your hair type & density. 3) The application wasn’t fitted safely. 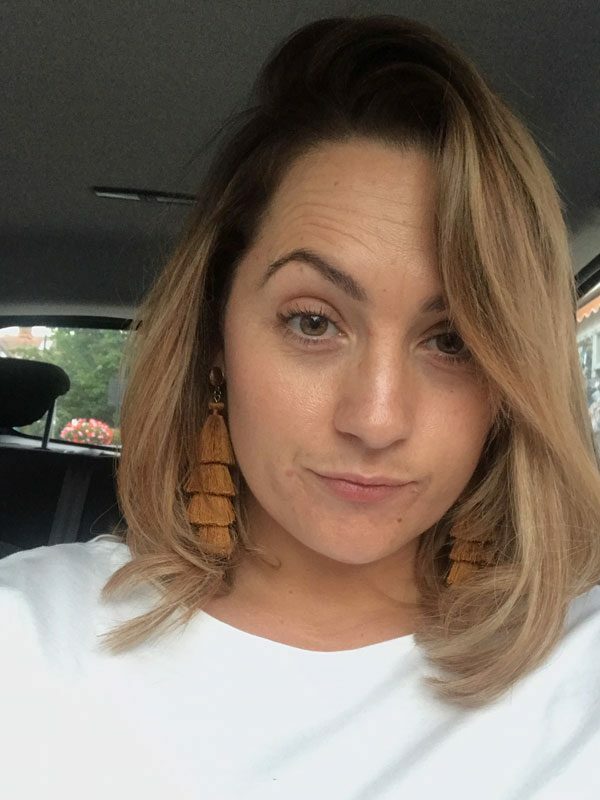 I advise you to have a stylist with a vast amount of experience and knowledge to fit your hair extensions this way you know your own hair will be looked after in the best possible way. If any one of these three points aren’t achieved then hair extensions could possibly damage your own natural hair. 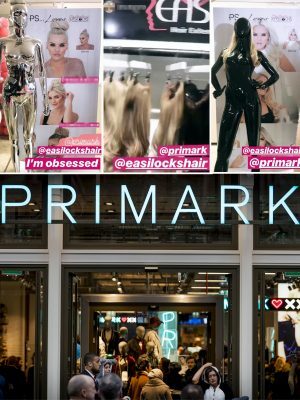 What is the biggest lie you’ve heard about hair extensions? What’s the difference between bonded extensions and ring extensions? Micro Bonds are made up from a soft keratin. This method is super safe and works fantastically well for someone with very fine hair. The bonds are clear so they are extremely discreet. With this method you will need to have new hair fitted every 3 months. This type of technique is great for people who want to add a little volume to their hair with a great natural result. The Micro rings are tiny little metal rings which are attached to the clients own hair with the hair extension tip inside. This method is perfect for adding fullness and length and is suited to many hair textures and types. The micro ring method works really well with the hand blending technique because you can have the size of the hair extensions made to what ever suits you and your hair making is very natural and un detectable. What is the blended technique? Is it better than shop-bought hair? The hand blending technique really is the best! This method is the only method on the market where you can achieved a totally perfect colour match. The reason for this is because you can add as many tones and colours into each individual extension piece. Every set of hair extensions made using this technique will be customised to each individual client to match their own hair creating a completely seem less result. Any big colour trends coming up this year? We will be seeing lots of warm colours this next season. Chocolates and Amber tones will be very popular. Think coffee , mulled wine & dark cherry tones. Use a good quality professional shampoo & conditioner. Make sure you protect your hair from heat with a heat protecting spray. Neal and Wolf do a fabulous one! Keep up with regular trims & treatments and be gentle with styling and brushing. My favourite treatment for in salon or at home use is Olaplex. It’s brilliant! Should you have breaks in between hair extensions? There isn’t a need to have a break in between having your hair extensions fitted unless you have signs of weak or damaged hair. Remember this will only occur if they haven’t been fitted correctly, if the type of method isn’t the right one for your hair type or if you haven’t maintained them properly. Some clients may choose to have them out for a short period of time to get their own natural hair coloured throughout.